The Alameda County Fire Department (ACFD) proudly announces the receipt of one silver and three bronze Telly Awards by a distinguished panel of over 200 industry council member judges in the 39th Annual Telly Awards. The Telly Awards honors excellence in video and television across all screens and it is judged by leaders from video platforms, television and streaming networks, agencies, and production companies including Vice, Vimeo, Hearst Digital Media, and BuzzFeed. This year, more than 12,000 entries were received from all 50 states and across five continents. Compiled by Multimedia Director Ken Guanga and Public Information Officer Aisha Knowles, video coverage of the ACFD’s 20-week 2017 Recruit Academy received Silver Award Honors in the Branded Content-Campaign Promotional category, and Bronze Honors in the Branded Content-Campaign Social Responsibility, Online Documentary-Series and Social Video-Public Service & Activism Total categories. “The dynamic video coverage of the 2017 Recruit Academy gives viewers a behind the scenes look at the challenging 20-week Academy, while simultaneously attempting to educate and inform community members and future firefighter recruits about the rigorous entry-level training,” adds ACFD Fire Chief David Rocha. 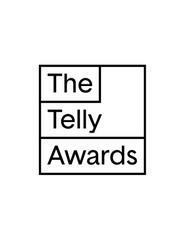 The winner’s announcement caps a year-long initiative by the Telly Awards to rebuild the honors for the multi-screen era. Throughout 2017-2018 the Tellys refashioned their categories to honor the type of work being made by leading producers, including branded content, social video and animation, as well as working with industry experts to identify important industry categories where technology was playing an impactful role in the way stories are now being told: Virtual Reality, Interactive and 360 Video. To judge all this new and innovative work, the Tellys recruited over 200 new judges, from companies such as Vimeo, Duplass Productions’ Donut, ustwo, Discovery Networks, VaynerMedia and Framestore. The entire series of videos from the ACFD 2017 Recruit Academy can be found at www.youtube.com/AlamedaCountyFire. The Alameda County Fire Department (ACFD) provides all-risk emergency services to the unincorporated areas of Alameda County (excluding Fairview), the cities of San Leandro, Dublin, Newark, Union City and Emeryville, the Lawrence Berkeley National Laboratory, the Lawrence Livermore National Laboratory and Sandia National Laboratory. With 29 fire stations and 35 companies serving a population of 394,000, the ACFD serves densely populated urban areas, waterways, industrialized centers, extensive urban interface, agricultural and wildland regions. Over 400 personnel and 100 Reserve Firefighters provide a wide variety of services to an ever expanding, dynamic and diverse community of roughly 508 square miles. ACFD is also responsible for the administration and operation of the Alameda County Regional Emergency Communications Center (ACRECC). The dispatch center provides dispatch and communication center services for the ACFD, the Alameda County Emergency Medical Services Agency, Camp Parks Regional Forces Training Area, and the cities of Alameda, Fremont, Livermore and Pleasanton.